Still no room for Jesus? In the prior article, Part 1, I mentioned the idea of standing on the shoulders of those who have gone before so as to reach up and out for further enlightenment of truth. However, when we see how the development of false doctrines mushroomed after that first century when the canon of Holy Scripture, as later decided, was fully completed, those shoulders we stand on must be carefully selected. I must say that my position is Pre-Tribulation, Pre-Millennial, born-again of God, once saved, always saved, and none of it because someone else of mortal men have told me so. I referred to Jude's concern that believers "earnestly contend for the faith that was once for all delivered to the saints." Further thought reveals that Jude wrote his one-chapter letter after Peter wrote his second epistle, which was about A.D. 66. Thus, it was at least 35 years after the crucifixion and resurrection of Christ, and Jude points us to a body of faith that had already been given to the saints, "once for all." ""But you, Daniel, shut up the words, and seal the book until the time of the end; many shall run to and fro, and knowledge shall increase" (Daniel 12:4). When the plain sense of Scripture makes common sense, seek no other sense; therefore, take every word at its primary, ordinary, usual, literal meaning unless the facts of the immediate context, studied in the light of related passages and axiomatic and fundamental truths, indicates clearly otherwise. Could Jesus Really Come at Any Time? The doctrine is called the Doctrine of Imminence and basically holds that Jesus could return at any time to take His own from the earth-the Rapture-at the beginning of the seven years of Tribulation at the end of the age. The controlling Scripture is the statement of Jesus recorded in several instances, "But of that day and hour no one knows, not even the angels of heaven, but My Father only" (Matthew 24:36). Peter wrote his second epistle about A.D. 66, and in it he mentions that scoffers would be asking in the last days, "Where is the promise of His coming? For since the fathers fell asleep, all things continue as they were from the beginning of creation" (2 Peter 3:4). Apparently they were already asking that question, though in derision. Why, then, has He not come? What could be some of the reasons He has not come? 5. In setting aside the Jewish people for a time, He promised to take out of the Gentiles a people for His name and would do so until "the times of the Gentiles are fulfilled"(Romans 11:25; Luke 21:24). Actually, on thinking about it, if Jesus had come in an earlier year, say A.D. 1120, just to pick a random year, a lot of promises He has made and many historical events would not have happened, events that actually bear upon those promises. If Jesus had come then, what would the situation have looked like after He had taken the believers out of the world, and the Antichrist took over...? So, what is going on here? Is this claim really the capstone of the Pre-Tribulation Rapture, making that position one of strong stature? Does it not stand firmly on Scripture for its own truthfulness? "It is the glory of God to conceal a matter, but the glory of kings is to search out a matter" (Proverbs 25:2). "For you yourselves know perfectly that the day of the Lord so comes as a thief in the night. For when they say, "Peace and safety!" then sudden destruction comes upon them, as labor pains upon a pregnant woman. And they shall not escape." Immediate chaos, immediate calamity, immediate destruction! Just like Jesus spoke of in Luke 17:26-37, which was the passage considered in Part 1 of this article topic. There, as soon as Noah was safe in the ark, the flood came; as soon as Lot was out of the city, fire and brimstone fell upon the city. Is there any Scriptural indication of a point in time when our attention is called for in regard to when Jesus is coming? Strangely overlooked is Luke 21:28, telling us, "Now when these things begin to happen, look up and lift up your heads, because your redemption draws near." What things? We have been told for many years that nothing had to happen before Jesus could return. Imminence left no place for intervening events. But remember that list, earlier, of the five promises of events that were future and locked in place by an unchangeable promise of God. The context of that verse in Luke is dealing with the signs of the coming of the Son of Man, and the section following it is that familiar parable of the fig tree. "Then He spoke to them a parable: 'Look at the fig tree, and all the trees. When they are already budding, you see and know for yourselves that summer is now near. So you also, when you see these things happening, know that the kingdom of God is near. Assuredly, I say to you, this generation will by no means pass away till all things take place. Heaven and earth will pass away, but My words will by no means pass away." The next part of that context gets down to business on the importance of "watching," seemingly as if there had not been centuries since He had expressed that prior warning to watch, "for you don't know what hour your Lord may come." The problem is that we are bound by time and God is not, as Peter writes in 2 Peter 3:8, "with the Lord one day is as a thousand years, and a thousand years as one day." How long has this Luke passage been in our New Testament? Obviously, since it was first written by Luke. The identity of the fig tree in the parable is considered to be the nation of Israel, and that event began to unfold in May, 1948. It is the awakening of that valley of dry bones told about in Ezekiel 37. It is God's answer to that last question the disciples had for Jesus just as He was ready to ascend into the heavens, recorded in Acts 1:6-7, "'Lord, will You at this time restore the kingdom to Israel?' And He said to them, 'It is not for you to know times or seasons which the Father has put in His own authority.'" That question and its answer are not directly related to the return of Jesus but often are linked to it. Israel is often spoken of as being "God's timepiece" for viewing the timing of end-time events and yet, it is a strange wonder how all these signs and events can be held in one hand, so to speak, and in the other, a staunch belief that Jesus could come at any time. It is clear that man's individual life-span of the "threescore years and ten," plus more in many cases, has been and will be more likely to happen at any time. 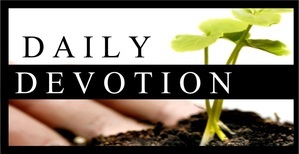 "But you, brethren, are not in darkness, so that this Day should overtake you as a thief" (1 Thessalonians 5:4). In the total context of 1 Thessalonians 4:15 to 5:4, the references to Day and Day of the Lord, along with "as a thief in the night," have to do with the pre-tribulation Rapture of believers. When the "day and hour" comes, it will come suddenly and "like a thief in the night." The unbelieving world will have no expectation of it. But we are not done, yet, with this issue; the drawstring of the bag of gathered evidence cannot be pulled tighter just yet. When Jesus said, "No one knows the day or the hour but My Father in heaven," the reference to "day and hour" was not a loosely framed period of time in the meaning of His projection, apparently. It would be a specific day and hour of His "appointed time," not "someday" or "whenever." True, He used the statement of "times and seasons," as did Paul in his writing to the Thessalonians, and those two references in Acts 1 and 1 Thessalonians 5 encompass the series of events of the end times. In the rarely mentioned impact of the place the seven feasts of Israel is an interesting reality that bears directly upon the specifics of that "no one knows the day or the hour" statement of Jesus. In those seven feasts that have been on the Hebrew calendar since God gave them to Moses, recorded in Leviticus 23, all have a specific beginning day except for one. God the Father is in charge of the weather, and He, only, knows where the clouds will be. But for mankind, "no one knows the day or the hour." That only makes sense when we realize that feast of the seven is the Feast of Trumpets, Rosh Hashanah, which begins the Jewish civil New Year with a new moon and its festive activities portray the Rapture of the saints. We know from multiple sources of Scripture that God has foreknowledge of all world events even before creation. Titus 1:2 tells us that God, who cannot lie, promised the gift of eternal life before time began. So, does God make promises which He does not intend to keep? We must say, emphatically, "Of course not!" How, then, do those promises made centuries ago and are now coming to pass, such as the promise to return the Israelites to their ancient homeland, match with the contention that Jesus could come at any time? Can anyone point to a Scripture that specifically says that Jesus can come at any time? The abiding fear of God is already a wonderfully well-placed principle for discipline, if that is the theory's real purpose. What about those five promises listed earlier in this article, most of which are yet to be fulfilled? It was the same Jesus, saying, "No one knows the day or the hour" who also told us, in Luke's gospel, "When you see these things begin to happen, look up for your redemption draws near." If we are going to respond to God's admonition in 2 Timothy 2:15 to "rightly divide the Word of Truth," how are we going to handle this obvious contradiction in what we say and what the Bible says? Now, "as we see the Day approaching," that is, we see that chief end-time antagonist, Satan, getting his game pieces in place on the chessboard, it is hard not to long for that startling cry from the King of kings, "Checkmate!" Or in biblical terms, "Even so, come, Lord Jesus!" Israeli officials are thrilled with the national security team that US President-elect Donald Trump is assembling. And they are right to be. The question now is how Israel should respond to the opportunity it presents us with. The one issue that brings together all of the top officials Trump has named so far to his national security team is Iran. Gen. (ret.) John Kelly, whom Trump appointed Wednesday to serve as his secretary of homeland security, warned about Iran's infiltration of the US from Mexico and about Iran's growing presence in Central and South America when he served as commander of the US's Southern Command. Gen. (ret.) James Mattis, Trump's pick to serve as defense secretary, and Lt.-Gen. (ret.) Michael Flynn, whom he has tapped to serve as his national security adviser, were both fired by outgoing President Barack Obama for their opposition to his nuclear diplomacy with Iran. During his video address before the Saban Forum last weekend, Prime Minister Binyamin Netanyahu said that he looks forward to discussing Obama's nuclear Iran nuclear deal with Trump after his inauguration next month. Given that Netanyahu views the Iranian regime's nuclear program - which the nuclear deal guaranteed would be operational in 14 years at most - as the most serious strategic threat facing Israel, it makes sense that he wishes to discuss the issue first. But Netanyahu may be better advised to first address the conventional threat Iran poses to Israel, the US and the rest of the region in the aftermath of the nuclear deal. There are two reasons to start with Iran's conventional threat, rather than its nuclear program. First, Trump's generals are reportedly more concerned about the strategic threat posed by Iran's regional rise than by its nuclear program - at least in the immediate term. Israel has a critical interest in aligning its priorities with those of the incoming Trump administration. The new administration presents Israel with the first chance it has had in 50 years to reshape its alliance with the US on firmer footing than it has stood on to date. The more Israel is able to develop joint strategies with the US for dealing with common threats, the firmer its alliance with the US and the stronger its regional posture will become. The second reason it makes sense for Israel to begin its strategic discussions with the Trump administration by addressing Iran's growing regional posture is because Iran's hegemonic rise is a strategic threat to Israel. And at present, Israel lacks a strategy for dealing with it. Our leaders today still describe Hezbollah with the same terms they used to describe it a decade ago during the Second Lebanon War. They discuss Hezbollah's massive missile and rocket arsenal. With 150,000 projectiles pointed at Israel, in a way it makes sense that Israel does this. Just this week Israel reinforced the sense that Hezbollah is more or less the same organization it was 10 years ago when - according to Syrian and Hezbollah reports - on Tuesday Israel bombed Syrian military installations outside Damascus. Following the alleged bombing, Defense Minister Avigdor Liberman told EU ambassadors that Israel is committed to preventing Hezbollah from transferring advanced weapons, including weapons of mass destruction, from Syria to Lebanon. The underlying message is that having those weapons in Syria is not viewed as a direct threat to Israel. Statements like Liberman's also send the message that other than the prospect of weapons of mass destruction or precision missiles being stockpiled in Lebanon, Israel isn't particularly concerned about what is happening in Lebanon. These statements are unhelpful because they obfuscate the fact that Hezbollah is not the guerrilla organization it was a decade ago. Hezbollah has changed in four basic ways since the last war. First, Hezbollah is no longer coy about the fact that it is an Iranian, rather than Lebanese, organization. Since Iran's Revolutionary Guards founded Hezbollah in Lebanon in 1983, the Iranians and Hezbollah terrorists alike have insisted that Hezbollah is an independent organization that simply enjoys warm relations with Iran. But today, with Hezbollah forming the backbone of Iran's operations in Syria, and increasingly prominent in Afghanistan and Iraq, neither side cares if the true nature of their relationship is recognized. For instance, recently Hezbollah commander Hassan Nasrallah bragged, "We're open about the fact that Hezbollah's budget, its income, its expenses, everything it eats and drinks, its weapons and rockets are from the Islamic Republic of Iran." What our enemies' new openness tells us is that Israel must cease discussing Hezbollah and Iran as separate entities. Israel's next war in Lebanon will not be with Hezbollah, or even with Lebanon. It will be with Iran. This is not a semantic distinction. It is a strategic one. Making it will have a positive impact on how both Israel and the rest of the world understand the regional strategic reality facing Israel, the US and the rest of the nations of the Middle East. The second way that Hezbollah is different today is that it is no longer a guerrilla force. It is a regular army with a guerrilla arm and a regional presence. Its arsenal is as deep as Iran's arsenal. And at present at least, it operates under the protection of the Russian Air Force and air defense systems. Hezbollah has deployed at least a thousand fighters to Iraq where they are fighting alongside Iranian forces and Shi'ite militia, which Hezbollah trains. Recent photographs of a Hezbollah column around Mosul showed that in addition to its advanced missiles, Hezbollah also fields an armored corps. Its armored platforms include M1A1 Abrams tanks and M-113 armored personnel carriers. The footage from Iraq, along with footage from the military parade Hezbollah held last month in Syria, where its forces also showed off their M-113s, makes clear that Hezbollah's US platform- based maneuver force is not an aberration. The significance of Hezbollah's vastly expanded capabilities is clear. Nasrallah's claims in recent years that in the next war his forces will stage a ground invasion of the Galilee and seek to seize Israeli border towns was not idle talk. Even worse, the open collaboration between Russia and Iran-Hezbollah in Syria, and their recent victories in Aleppo, mean that there is no reason for Israel to assume that Hezbollah will only attack from Lebanon. There is a growing likelihood that Hezbollah will make its move from Syrian territory. The third major change from 2006 is that like Iran, Hezbollah today is much richer than it was before Obama concluded the nuclear deal with the ayatollahs last year. The deal, which canceled economic and trade sanctions on Iran, has given the mullahs a massive infusion of cash. Shortly after the sanctions were canceled, the Iranians announced that they were increasing their military budget by 90%. Since Hezbollah officially received $200 million per year before sanctions were canceled, the budget increase means that Hezbollah is now receiving some $400m. per year from Iran. The final insight that Israel needs to base its strategic planning on is that a month and a half ago, Hezbollah-Iran swallowed Lebanon. In late October, after a two-and-a-half-year fight, Saad Hariri and his Future Movement caved to Iran and Hezbollah and agreed to support their puppet Michel Aoun in his bid for the Lebanese presidency. True, Hariri was also elected to serve as prime minister. But his position is now devoid of power. Hariri cannot raise a finger without Nasrallah's permission. Aoun's election doesn't merely signal that Hariri caved. It signals that Saudi Arabia - which used the fight over Lebanon's presidency as a way to block Iran's completion of its takeover of the country - has lost the influence game to Iran. Taken together with Saudi ally Egyptian President Abdel Fattah al-Sisi's announcement last week that he supports Syrian President Bashar Assad's remaining in power, Aoun's presidency shows that the Sunnis have accepted that Iran is now the dominant power in Iraq, Syria and Lebanon. This brings us back to Hezbollah's tank corps and the reconstruction of the US-Israel alliance. After the photos of the US-made armored vehicles in Hezbollah's military columns were posted online, both Hezbollah and the Lebanese Armed Forces insisted that the weapons didn't come from the LAF. But there is no reason to believe them. In 2006, the LAF provided Hezbollah with targeting information for its missiles and intelligence support. Today it must be assumed that in the next war, the LAF, and its entire arsenal will be placed at Hezbollah-Iran's disposal. In 2016 alone, the US provided the LAF with $216m. in military assistance. From Israel's perspective, the most strategically significant aspect of Hezbollah-Iran's uncontested dominance over all aspects of the Lebanese state is that while they control the country, they are not responsible for it. Israeli commanders and politicians often insist that the IDF has deterred Hezbollah from attacking Israel. Israel's deterrence, they claim, is based on the credibility of our pledge to bomb the civilian buildings now housing Hezbollah rockets and missiles in the opening moments of the next conflict. These claims are untrue, though. Since Hezbollah- Iran are not responsible for Lebanon despite the fact that they control it through their puppet government, Iranian and Hezbollah leaders won't be held accountable if Israel razes south Lebanon in the next war. They will open the next war not to secure Lebanon, but to harm Israel. If Lebanon burns to the ground, it will be no sweat off their back. The reason a war hasn't begun has nothing to do with the credibility of Israel's threats. It has to do with Iran's assessment of its interests. So long as the fighting goes on in Syria, it is hard to see Iran ordering Hezbollah to attack Israel. But as soon as it feels comfortable committing Hezbollah forces to a war with Israel, Iran will order it to open fire. This then brings us back to the incoming Trump administration, and its assessment of the Iranian threat. Trump's national security appointments tell us that the 45th president intends to deal with the threat that Iran poses to the US and its interests. Israel must take advantage of this strategic opening to deal with the most dangerous conventional threat we face. In our leaders' conversations with Trump's team they must make clear that the Iranian conventional threat stretches from Afghanistan to Israel and on to Latin America and Michigan. Whereas Israel will not fight Iran in Iraq and Afghanistan, or in the Americas, it doesn't expect the US to fight Iran in Lebanon. But at the same time, as both allies begin to roll back the Iranian threat, they should be operating from a joint strategic vision that secures the world from Iran's conventional threat. And once that it accomplished, the US and Israel can work together to deal with Iran's nuclear program. Hezbollah is "almost certain" that the IAF was behind strikes on its forces from Lebanese airspace on Wednesday. Hezbollah said on Friday that there is no truth to reports it assured Russia there would be no military response to the alleged Israeli strikes on its forces in Syria on Wednesday, according to a Hezbollah statement read out on its Al-Manar TV station. The terror organization said the reports were an "invention." "These reports are a total lie and fabrication," the statement read. Despite the strong denials, Hezbollah did not explicitly promise an attack, leaving doubt as to whether one will be forthcoming. The Syrian regime accused Israel of firing surface-to-surface missiles targeting the Mezzeh Air Base near Damascus on Wednesday, causing damage but no casualties. Hezbollah's Al-Maydeen television channel said the group "was almost certain" that the Israel Air Force carried out the strikes from Lebanese airspace. If Hezbollah does strike at Israel, it would not be for the first time since the end of the 2006 Second Lebanon War. In January 2015, following a reported Israeli air strike on a convoy of Hezbollah and Iranian operatives who were constructing a terrorist base in the Syrian Golan, Hezbollah retaliated, firing a volley of Kornet guided missiles an IDF convoy, killing a soldier and commander in their D-Max vehicle. The attack was launched from five kilometers away on the Lebanese side of the border with Israel. Russia is heavily backing the Assad regime in the Syrian Civil War, which relies also on the manpower of the Lebanese terror group, in addition to other foreign allies on the ground such as Iran's Al Quds Force. If true, the rumors that Hezbollah might refrain from attacking Israel would insinuate the giving of orders from Moscow to Hezbollah leader Hassan Nasrallah to show restraint. Israeli Prime Minister Benjamin Netanyahu has regularly visited and held telephone conversations with Russian President Vladimir Putin in the past year in order to try and secure Israel's interests in the region. With Russia stationing S-300 anti-aircraft missiles in Syria, Israel has been keen to ensure that the system is not used against Israeli planes. Israel, which usually neither confirms nor denies responsibility for alleged strikes, is "working primarily to protect the security of our citizens, defend our sovereignty, and prevent the smuggling of sophisticated weapons, military equipment and weapons of mass destruction from Syria to Hezbollah," Defense Minister Avigdor Liberman said on Wednesday, following the claims by the Assad regime. In April, Netanyahu admitted for the first time that the IDF had carried out strikes in Syrian territory. Moscow started to deploy Chechen special operations forces units to Syria this week, debkafile's military sources reveal. The troops come from elite units of the Chechen military with extensive field experience in urban warfare. Some of the units fought in eastern Ukraine in the past two years and, before that. in Chechnya for suppressing radical Islamic terror organizations linked to Al Qaeda and the Salafi movement. The soldiers called up for the deployment in Syria were ordered to report to the Khankala base east of the Chechen capital Grozny. They are being vetted by Russian officers who determine which are suitable for the Syrian mission. In the initial stage, the deployment will consist of three divisions totaling about 1,000 soldiers. Since like Russia, Chechen law bars regular army troops from being sent beyond the country's borders, the soldiers assigned to Syria will wear the uniform of the Chechen Interior Ministry's security forces, which are not part of the regular army. They will be flown directly from the Russian air force facility at the Khankala base by giant Ilyushin-76 transport planes to Russia's Hmaimim Air Base, about 1,200km away. 1. To free the forces of the coalition supporting Syrian President Bashar Assad, including Russia, of responsibility for holding and defending territory they captured in Syrian cities, especially Aleppo. 2. To reinforce the Russian, Iranian, Syrian and Hezbollah troops with highly-trained commandos capable of spearheading the next challenging battles in places like the Idlib region in the north and Darra in the south. 3. To save Russian President Vladimir Putin and Defense Minister Sergei Shoigu from having to send Russian ground troops to finish the Syrian war. The return of a rising number in coffins would set off a loud popular outcry against the government. In the past month, three Russian servicemen lost their lives in Syria, including a colonel. Until now, the Russian military had sent only small groups of Spetsnaz (special forces) troops, whose task was confined to guarding Russian military, air and missile facilities in Syria. The latest batch of Chechen fighters is not the first Moscow has dispatched to the Middle East. On Sept. 2, Russia's Interfax news agency reported that "a self-organized group of young people from Chechnya had undertaken to combat the terrorist organizations." They were described by Russian spokesman as young people who had offered to gather information on Russians and Chechens who had joined ISIS. In other words, they had "volunteered" to infiltrate ISIS units as spies. What befell those young people was never reported. I was startled by what I saw on my computer screen. It showed 47,444,396 views for the song I was listening to on YouTube. I had never seen such a high number, although other songs may very well have such a number or exceed that total. The immensely popular tune is Whom Shall I Fear by Chris Tomlin. Chris Tomlin is an highly talented singer and I am never surprised by the popularity of any one of his songs. However, with the title, Whom Shall I Fear, I cannot help but believe its popularity relates in some degree so our search for hope, for something to relieve the anxieties so many of us experience. We live in a society that breeds fear. If it does not come from the threats all around us, it pops up in the form of broken relationships, financial hardships, illnesses, and the setbacks of growing older. Is there any relief? Is there any hope? Yes, His name in Jesus. The Lord is our "strong tower" (Proverbs 18:10). Our Hope rests in His soon return to take us home. It's this expectation that relieves so many of our apprehensions. We groan. Okay, I know this does not sound like a positive first step toward finding a balm for our worries, but stick with me. In Romans 8:23 Paul says, "And not only the creation, but we ourselves, who have the firstfruits of the Spirit, groan inwardly as we wait eagerly for adoption as sons, the redemption of our bodies." The Greek word for "groan" is sometimes used of the expression of a deeply felt emotion, a "sighing in the sense of longing for something. "[i] What exactly are we searching for as we groan? We know from Ephesians 1 that our adoption as sons and daughters into God's family is complete as is our redemption (see Eph. 1:5-7). It's all a done deal; we need not worry about that anymore. So why do we groan? We cry out because we have yet to fully experience our adoption and the redemption of our bodies to the fullest extent. Recently, my a-fib acted up again and for two hours in the middle of the night I often groaned as my heart sometimes raced and at other times seemed to wildly palpitate. I asked the Lord for relief, but in response He seemed to say this was necessary to teach me about remaining focused on my hope. If I was going to write about peace in the midst of turmoil, I needed to trust Him for peace in my soul even when my physical heart gave me much cause for alarm. We groan because the redemption of our bodies is not yet complete. We hope in spite of what we currently experience. Paul goes on to say this in Romans 8:24: "For in this hope we were saved. Now hope that is seen is not hope. For who hopes for what he sees?" Our hope is in what we do not yet see, that of Jesus completing our salvation in the sense that we will someday fully experience what we already possess by faith. Notice that we are saved "in this hope" of someday seeing this completion of our redemption. Jesus' return for His church, which we often refer to as the rapture, signifies our full experience of our salvation. The culmination of the Gospel message is Jesus' appearing to take us home to His Father's house as He promised in John 14:1-3. I believe the catching up of the church to forever be with the Lord was a key part of the New Testament proclamation of the gospel, not something to be taught to believers much later if at all. Because we have lost sight of the future promises embedded in the gospel, we sometimes act as though our salvation is totally complete and it's up to us to follow all the principles of Scripture to somehow live out our redemption. We behave as though the completion of our salvation depends solely on us. Can you see how this focus adds an enormous amount of stress to our lives? Every day, the futility of hoping in the things of this world hits us hard, but yet we do not lift up our eyes above the daily grind to the One whose hope will never fail us. Instead, we remain committed to making a better life for ourselves now instead looking up to all that is promised us after Jesus appears. Even if we are somehow successful for a season in limiting the scope of the gospel to our current lives, ultimately we cannot escape the futility of placing our hope in the moment rather than in eternity. Everyone's health eventually fails. Divorce can strike despite our noblest efforts to prevent it. Finances can fail even after the wisest of planning. Medical science can only do so much. Everyone experiences sorrow and frustration in this life at some point. No one is immune. Oh, but a much better day is coming! This is why we groan as children of God. We know we were not created for simply a life of frustration and sorrow. There has to be more than what we see and there is. This is the gospel. We are saved in the hope of Jesus' appearing to take us home. The rapture is the future tense of the message of our salvation. The preaching of the gospel without the promise of Jesus' soon appearing is like a peanut butter and jelly sandwich without the jelly, the sweet hope of His return. Because our hope is sure, we "wait eagerly" for it. Despite not seeing it, "we wait for it with patience" (Romans 8:25). No one likes to wait, but it helps when we wait for a sure thing. With my a-fib, I am scheduled to undergo an ablation procedure early next year that may or may not fix the issue, although my cardiologist assures me the percentage is quite high it will resolve my issues. So I'm waiting in hope this will fix the problem, but I cannot be absolutely sure it will do so. However, when Jesus returns, I know with absolute certainty the matter will be resolved; I will have a brand new body that will never perish (see 1 Cor. 15:49-54). Because our hope is secure we wait in confidence of what we will be in eternity. As Chris Tomlin sang, with Jesus in control, we have no reason for fear. The tragedies of life may overtake us for a season, but our ultimate hope never changes. Jesus is coming to take us away to forever be with Him. It could be today or tomorrow or next month or next year or perhaps even further down the road. As Paul said, we do not see our hope. We see signs of the fulfillment of prophecy all around us, but we do not see Jesus coming for us and will not until He appears. While we do not see our hope at the present time, we know He will complete our salvation, bring us home to our Father in heaven, and complete the redemption of our bodies. There is no doubt about this. [i] Colin Brown, editor, Dictionary of New Testament Theology Vol. 2 (Grand Rapids: Zondervan Publishing House, 1969) p. 423. Along with every other aspect of Christmas, we have romanticized the story of Christ's birth. We envision a scene in which he is draped in fine satin while a smiling Joseph and Mary look on. Everyone has a halo, including the animals. The fact of the matter is the birth of Christ took place in a cold, damp and dark environment. It was an undesirable place to sleep, much less to have a baby. If you're a parent, think about when you had your own children. You wanted them to be born in the most secure and sanitary environment possible. Can you think of a place that would be worse than where animals are kept? It was about the least desirable place to have a child. Yet this setting symbolizes the entire ministry of Jesus and his life on earth, from the cradle to the cross. The Bible sums it up for us this way: "For you know the grace of our Lord Jesus Christ, that though he was rich, yet for your sake he became poor, so that you through his poverty might become rich" (2 Corinthians 8:9 NIV). Jesus went from a heavenly throne to an earthly feeding trough, presumably the very area where he was born. He went from the presence of angels to a cave filled with animals. He who was larger than the universe became an embryo. He who sustains the world with a word was dependent on the nourishment of a young girl. It is an amazing thought to consider that God Almighty became a helpless little baby, unable to do anything more than lie there, wiggle and make noises, needing to be fed and changed like any other child. Because Jesus was God, we might imagine him being born with all of his faculties intact: Hello, Mary and Joseph. I am Jesus, the creator of the universe. I have work to do. ... But that isn't how it was. He still was a baby, like any other baby. He grew up, in many ways, like any other child but without a sin nature. He grew in physical strength, and he grew in wisdom. We are told in Luke 2, "And the child grew and became strong; he was filled with wisdom, and the grace of God was on him" (verse 40 NIV). Then we read that Mary and Joseph found him, at the age of 12, sitting in the Temple. He was speaking to the scribes, both listening to them and asking them questions. Later in Luke 2 it says that "Jesus grew in wisdom and stature, and in favor with God and man" (verse 52 NIV). These verses would appear to be saying that Jesus went through a learning process like anyone else. But at the same time, he didn't have the limitations of sin in his life. Being God, Jesus may have known a lot more than we may realize. We won't know for certain until we get to heaven. It is an interesting thing to consider, however, that he left the glory of heaven, and as he took his first breath on earth, he awoke to the smell of a cave on a cold night. Against his skin was the pricking of the straw and the coarseness of the rags he was wrapped in. What a rude awakening that must have been. And as sad as it is to think about all this, it is the reality of how Jesus came to this world. And for the most part, the world he came to save rejected him. Sure, he had Mary and Joseph and his family. They loved him. But the Bible says, "He came to that which was his own, but his own did not receive him" (John 1:11 NIV). Jesus even was hated in his hometown. In Nazareth, when it happened to be his turn to read from the Scriptures on the Sabbath, he read from Isaiah 61 with an authority like the people had never seen before. Then he said, "Today this scripture is fulfilled in your hearing" (Luke 4:21 NIV). They fully understood what he was implying. He was saying, "I am the fulfillment of this Scripture. I am the very Messiah of Israel. The Spirit of the Lord is upon me." What did they do? Did they give him a round of applause? Did they treat him as a hometown hero? No, they turned against him. In fact, they hated him and even wanted to kill him. We might say that at least he had a home with Mary and Joseph, and later on, his half brothers and half sisters. But the fact is that at least on one occasion, his siblings came to take him away from where he was because they thought he'd taken leave of his senses. In fact, the Bible tells us that his brothers didn't believe in him. It wasn't until his death and resurrection from the dead that his own family fully understood who he really was. When Jesus arrived at a place known as the Gadarenes, he cast demons out of two men. How did the people treat him? They drove him out of town. On another occasion when he drove demons out of someone else, the Pharisees had the audacity to suggest that it was by the power of Satan. Then we remember at least one joyful day in Jesus' life when he made the triumphal entry into Jerusalem on the back of a donkey. The crowd laid palm branches at his feet and shouted, "Hosanna!" The religious rulers wanted it stopped. They couldn't stand the idea that people were saying that about him. As he got closer to the day of his crucifixion, even his moments of prayer in the Garden of Gethsemane were interrupted as soldiers came to arrest him, hauling him away on trumped-up charges to their kangaroo court. Then they took him to the cross and pounded nails through his hands and feet. There he was, in unimaginable pain, and all he asked for personally was a sip of water to cool his raging thirst. Even then, they gave him vinegar and gall instead of water. It never stopped. There never was any room for Jesus. And as sad as that was, it is a statement that still could be made today. Is there room in your life for him? A record 95 million Americans were not in the labor force in November, about 15 million more than when the current "president" took office. These are folks who have either retired or gave up finding a job. According to the Bureau of Labor Statistics some 3.6 million people had lost their jobs and those who have been jobless for 27 weeks or more stood at 1.9 million, a quarter of the unemployed. For all the rhetoric the progressives (translated communists) put on the working class, they do so little to create jobs and ensure that each citizen has the opportunity to support their family and have the dignity of economic stability. Instead, they want to control votes and psychology by having them on the government dole. The American people repeatedly have been told that economic recessions are the fault of the free-market-that capitalist Republicans drive the economy into shambles by lowering taxes and giving businesses incentives. They call it "trickle down" economics. The sad fact is that raising taxes on businesses (which means taking away tax incentives that keep jobs in the US) and overreaching regulation puts a ceiling on the number of jobs that business can afford. Higher taxes restrict job creation and growth of the free market. Class warfare (that the rich are the demons of society) ignores that there is risk and reward for job creation-without some "rich" person creating jobs through a large corporation, many workers don't work. Already, the Trump election has incentivized businesses to create or keep jobs here in the US. We have seen examples with Ford and Carrier. Now we are seeing examples in the steel industry, which has been depressed for decades due in part to repressive Democratic-inspired tax and regulation policies. US Steel CEO Mario Longhi told CNBC News that the American steel industry could bring back 10,000 jobs because of "future improvement to the tax laws, improvements to regulation" as a result of Trump taking office. Longhi said, "I'd be more than happy to bring back the employees we've been forced to lay off during that depressive period...There was a point in time in the past couple years that I was having to hire more lawyers to try to interpret these new regulations than I was hiring...engineers. That doesn't make any sense." Reasonable regulation and fair taxation is a better choice than class warfare for every American. The Bible says that a worker is worth his wages. Solomon wrote in Ecclesiastes 3:13, "...that every man should eat and drink, and enjoy the good of all his labor, it is the gift of God." In this country, we have strived to create a freedom where everyone who wants a job can work; where everyone has opportunity. Yes, there are those who squander their opportunities, or face more hardships than others, and still others who have little ambition. It is there freedom to do so. But when politicians extol the virtues of the working man, yet govern with policies that oppress him, they rob the worker of the blessing of enjoyment of his labor. Already, we are seeing the impact of the hope of less oppression. This hope brings with it dignity and blessing. Hostility toward Christmas seems to escalate a little more every year. More nativity scenes are being removed from public places, Christmas carols have been prohibited in many places, and atheists have put up billboards attacking the Christian faith. What's more, many today don't even want the word Christmas used. These are all symptomatic of the conflict of Christmas. Jesus did not come to bring a mind-numbing peace on earth that is devoid of truth. The message to the shepherds on the night Christ was born was, "Glory to God in highest heaven, and peace on earth to those with whom God is pleased" (Luke 2:14).